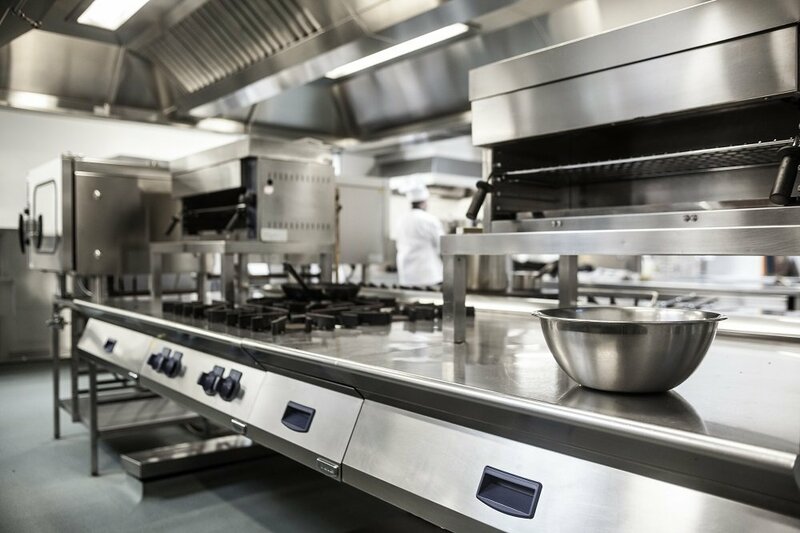 Facility managers should consider upgrading the equipment and appliances in commercial kitchens as a way to improve energy efficiency and drive down related costs. These include establishing policies that promote greater energy savings. Commercial kitchen equipment like refrigerators, ovens, and dishwashers often come with high energy costs. There are significant savings differences between appliances with the highest and the lowest possible energy efficiency rating. Facility managers should choose equipment that will use only a minimal fraction of the energy used by other models. Efficient designs can save businesses thousands of pounds a year. Older appliances and malfunctioning catering equipment need repair as soon as possible because they are less energy efficient than appliances in good working order. Managers should make sure all appliances are cleaned and regularly serviced so they are not expending more energy than necessary. Water filtration systems can eliminate calcification and prevent mineral deposits for equipment involving the use of water. In addition, larger appliances contribute to greater energy inefficiency and can reduce energy savings. Commercial establishments should carefully consider how many appliances they need for their kitchen as overestimating this amount can waste space and increase energy expenditure. Gaskets and seals surrounding oven and steamer doors should be well-maintained as they prevent heat from escaping out of the appliance. Necessary repairs should be conducted immediately to prevent air and heat leaks that drive up energy costs. A restaurant can lower water temperatures to decrease energy usage. Managers should check the requirements of an area and optimise temperature to ensure water for washing dishes is not hotter than it should be. Temperature can be reduced in the kitchen itself with the use of induction equipment and cookers. These can reduce heat from the air. Condensate hoods, for instance, can eliminate hot air and steam from the kitchen. Restaurants waste a lot of energy leaving equipment on standby. Overnight and during periods of downtime, appliances not in use, like a fryer, should be turned off. Simply shutting off idle equipment and lighting will help a restaurant save on energy costs and prevent equipment from breaking down quickly. Facility managers can also consider using timers or solar-powered systems for outdoor lighting. The layout of the kitchen is an important consideration for additional energy savings. It should be designed in a way that promotes overall efficiency. For example, heating and cooling equipment should be separated. An oven and an ice machine should be nowhere near each other so the temperature of one appliance does not affect the other. Kitchen staff should adhere to energy saving guidelines in the kitchen. Protocols and best practices should be established to ensure energy-efficient appliances are used the way they should be. As the staff is responsible for carrying out day-to-day tasks, they need to be trained so they perform in a way that promotes efficiency and cost savings. A solid management system can provide additional support for monitoring employees and ensuring they understand and adhere to policies. A well-designed commercial kitchen can achieve productivity and reduce costs if appliances are well-maintained and energy-efficient.